It’s Beach Time! Pretty heart with beach stamped on it, starfish and crab charms accented with sea glass color bead on 24″ chain. 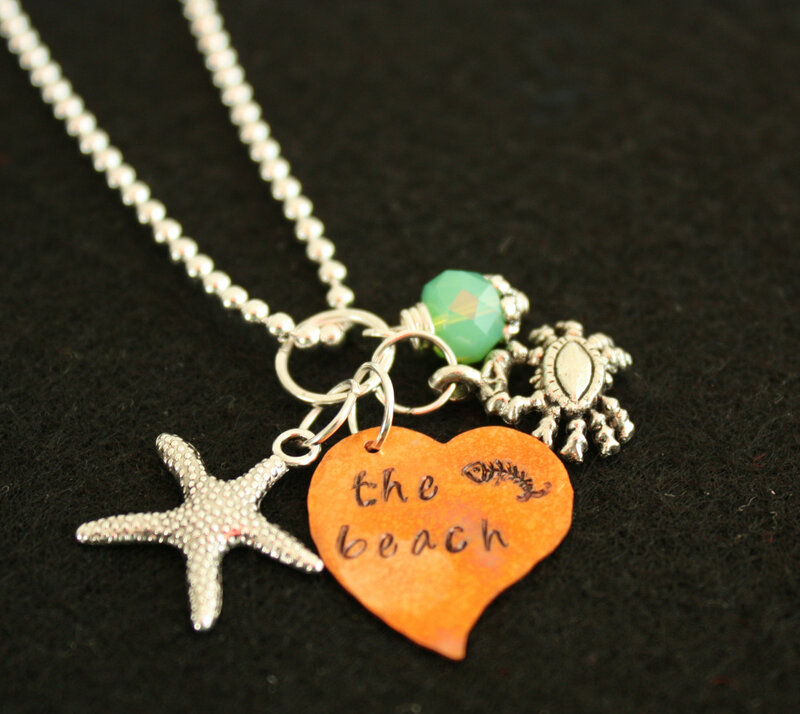 Categories: Beach, Surf Sun Necklaces, Beach, Surf, Sun Jewelry.